It is one of my most precious plant collection. 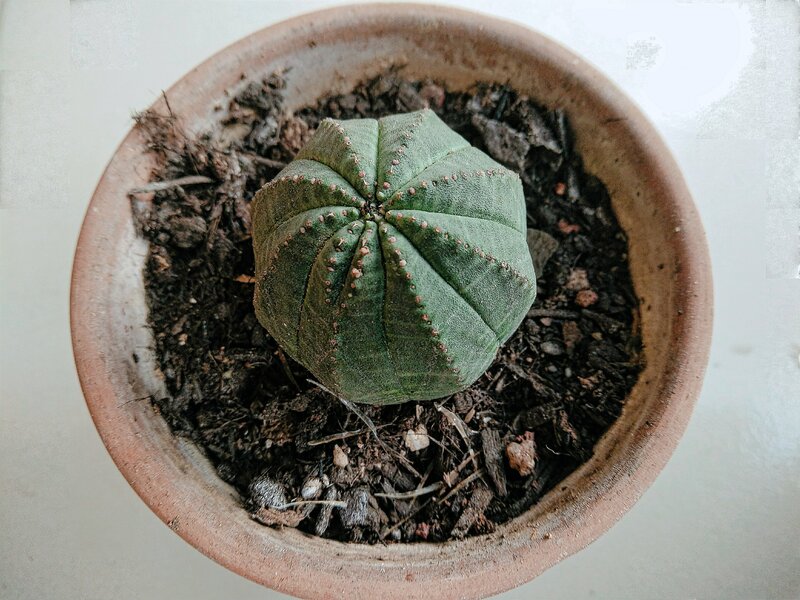 It’s called Euphorbia Obesa or commonly known as the “Baseball Plant”. It is a subtropical succulent species of Euphorbia genus which belongs to the succulent family. 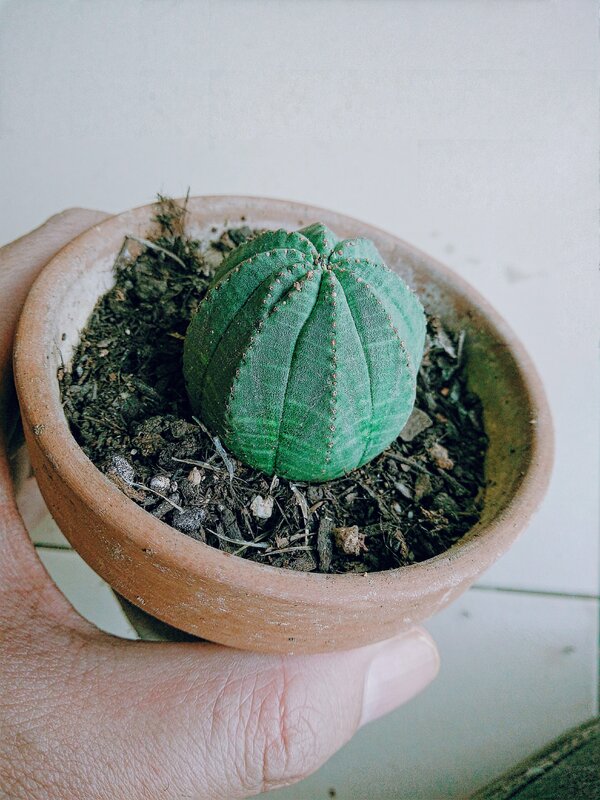 This plant is thornless, decorative and it looks like a baseball too, very mesmerising. It’s a temptation for the eyes to gaze upon and attractive! So the description of this plants is quite familiar to the Astrophytum Asterias family. This plant always shows eight ridges adorned with small deep gibbosity regularly planted on the edges and green with lighter or darker stripes. This plant has a rounded sea urchin-like shape. If you expose it directly to sunlight, it will show red and purple area on its surface. I used to put mine in the shady area because I want my plant to look all green and healthy. Good drainage is essential while growing this plant. Like any other succulent, they don’t like their feet to get wet. This plant is a slow-growing long-lived plant. It is best grown as a potted plant and place it in a sunny position such as the windowsill or any shady spot in your house and make sure that it can get a few doses of sunlight too. Do not put it in an entirely dark place because it will only fastest the process of it dying. Do you like this plant? I like it because it is weird, unusual, unique, rare and beautiful in its way. I have been looking for this plant over the past five years (can you imagine how long it is), and now I finally own it. The long searching is definitely worthy! Until my next post Steemians, See ya! !